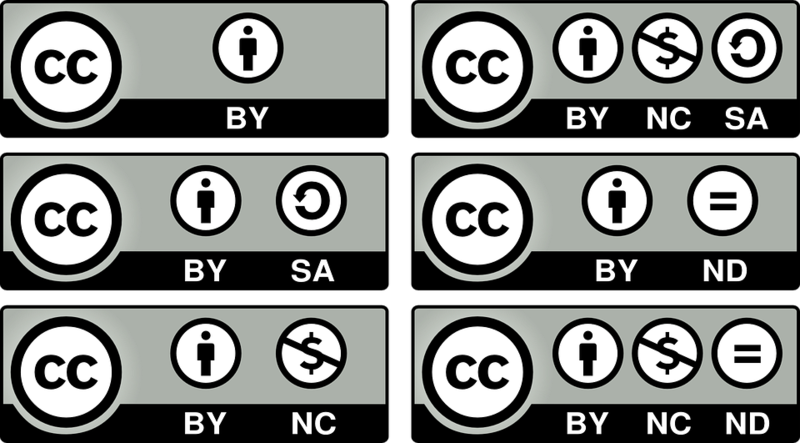 Creative Commons (CC) is a set of licenses that creators can use to allow the public to use their work, subject only to the restrictions they choose. For instance, the creator could choose a license that allows their work to be re-used for commercial purposes (advertising and selling things), or one that doesn’t. Why use a Creative Commons license? If you are looking online for content (like an image to use in a collage), much of what you find will be protected by copyright, so to use it without violating the creator’s rights, you would need to check the terms of the site where you found it, and most likely contact the creator for permission. Even if you take the time to do this, they can always say no. But if you find content that’s been released under a CC license (see how to find and recognize it below), however, then as long as your use fits within the terms of the CC license, you can use the work without having to contact the creator, and rest easy knowing your art or social media post does not infringe copyright. Creators may choose to put a CC license on their work because it increases their exposure, allows the community to benefit from the work, spreads new ideas and creations, and allows collaboration which could create even better content! How do you find Creative Commons content? You can run specific searches on this portal, and pull content from a number of websites that host CC material, such as Flickr and SoundCloud. Google’s advanced search options let you customize your search by searching for the name of the particular CC license. YouTube allows you to search for content that is CC licensed. How do I recognize Creative Commons content? 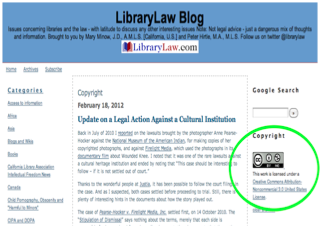 How do I use Creative Commons-license work? If you’re re-using CC licensed work, be sure your use is one that the license allows: for example, if you’re changing the work at all, check that the license allows derivative works. Then, make sure that you include attribution for the work’s creator (see the link below if you’re not sure how to do it). You can also use CC to license your own work. You can let anyone use the work for any purpose, or choose a more limited license to customize the rights that you reserve. The CC licenses apply worldwide, and last as long as the copyright on the work. As long as users comply with your terms, then you may not revoke the license. Every CC license requires appropriate attributions, so you will always be credited for your work.